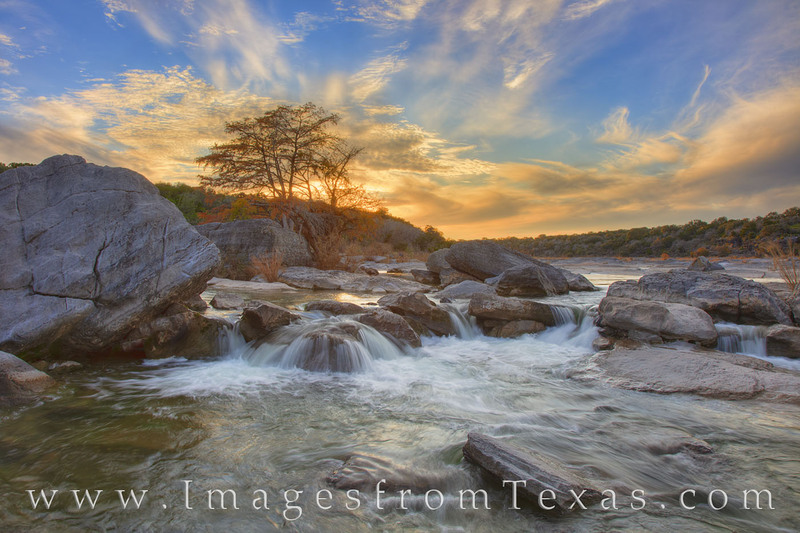 Sunset in the Texas Hill Country brings shades of orange and blue over the Pedernales River. This November evening found me exploring some of my favorite places along the water - and this image required some river-crossing, as well. Photo © copyright by Rob Greebon.